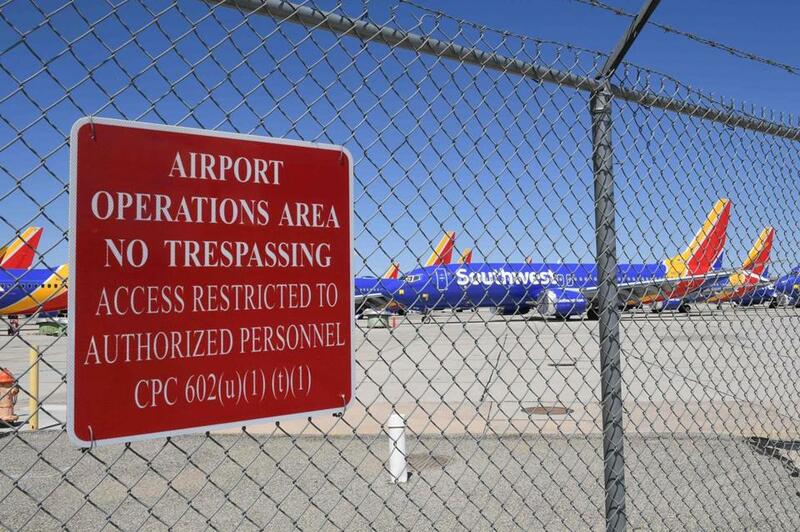 Southwest Airlines Boeing 737 MAX aircraft were parked on a tarmac after being grounded last month. Southwest is removing flights with the troubled Boeing 737 Max aircraft from its schedule through Aug. 5, a period that includes the peak of the airline’s busy summer travel season. The company did not specify how many flights would be cancelled because of the new schedule. It removed all 34 of its Max 8 jets from service on March 13 following two deadly crashes involving other airlines. The grounded aircraft account for a small percentage of the more than 750 Boeing 737 models in the airline’s fleet. Regulators around the world have grounded the aircraft and Boeing has been working to fix the plane’s technical issues. Airlines have had to scramble to put other aircraft into service while dealing with flight cancellations.